Stampin' Up! Watercolor Wonder Crayons Now Available! This was posted just a few minutes ago by Stampin' Up!. Wanted to get the word out to you ASAP. This is a GREAT product, that I personally use often. So excited to get them in stock with all the new colors. They are on Pg 194 of the main catalog. November 29, 2010 Great news! The Watercolor Wonder Crayons are now available for purchase. As we mentioned in a previous current update, the Watercolor Wonder Crayons were delayed due to a relocation of our supplier. We now have inventory and you can start ordering today! Time for Some Blog Candy !!!! I want to THANK ALL OF YOU for being such loyal followers of my blog. You mean so much to me. You inspire me to learn more, share more, and create more. I haven't done any blog candy in ages, so now is the perfect day to offer some. 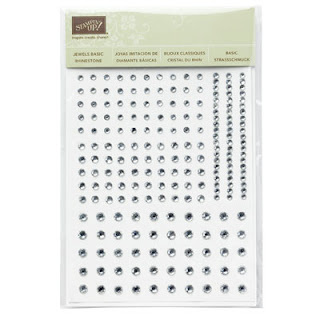 It will be one package of Basic Rhinestones and one package of Basic Pearls to one lucky winner. Jewels are just as magical in papercrafting as in fashion. Add a pearl here, a rhinestone there, and your projects take a subtle step up. 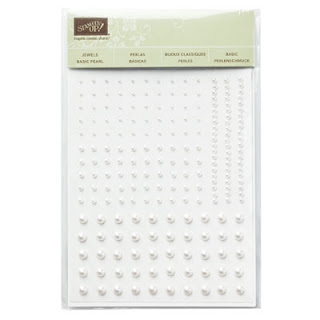 With our pearl basic jewels, it’s easy to add a touch of class to your projects in an instant. One lucky winner will receive both packages of these wonderful embellishments. I use them all the time. This blog candy contest is open only to blog followers here in the US. All you need to do is leave a comment on my blog for this post that tells me which Stampin' Up! product is your favorite and why. Contest will close Tuesday night at 11:59 pm. Winner will be drawn on December 1st and I will post the winner on my blog with a way to contact me. Good luck to everyone. PLEASE ONLY ONE ENTRY PER PERSON. Stampin' Up! allows both hobby and business demonstrators. Many just sign up to get the discount on the products they use and love. Others sign up to do this to generate income for themselves and their families. I'm always looking for new team members to join my team. I have team members all over the US. Another promotion that will only run thru Tuesday, November 30th, is our Online Spectacular with 20% to 50% off many current items. The number one seller in my opinion will be the opportunity to purchase My Digital Studio at 50% off. CLICK HERE to learn more. These both are such fabulous offers, and I don't want any of you to miss out on them. We've never seen them offered before. 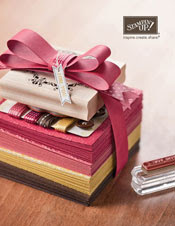 The following information was just released from Stampin' Up!. I wanted to get the word out to all of you as soon as possible so that if this is a designer series paper that you need or want, that you will place your order ASAP so you don't miss out. November 25, 2010 Because of unusually high demand for our Candy Cane Christmas Specialty Designer Series Paper (available in the Holiday Mini, item 120809), there is a possibility that we will deplete our inventory within the next week, and we will be unable to order more. In honor of Black Friday I made the main accent on this card black using Basic Black Card Stock from Stampin' Up! If you look closely (click on image to enlarge) you will see how the stars and Decorative Label appear to blend into the background. This is called Embedded Embossing. I will do a tutorial this weekend to show you how to create this unique look. I accented the card with our tinsel trim from the Holiday Mini Catalog. Thought it added a festive touch to the card. 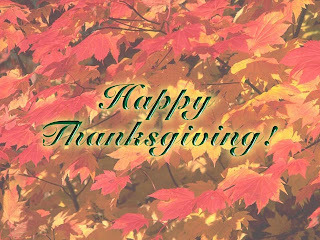 First, I want to wish everyone a very Happy Thanksgiving. I hope you are able to spend it surrounded by family and friends. I have much to be thankful for this year ... family, friends, my Stampin' Up! customers, and my blog followers too. Each and everyone is a blessing in my life. Any plans for Black Friday? Want to avoid the long lines, the crowded parking lot etc?? 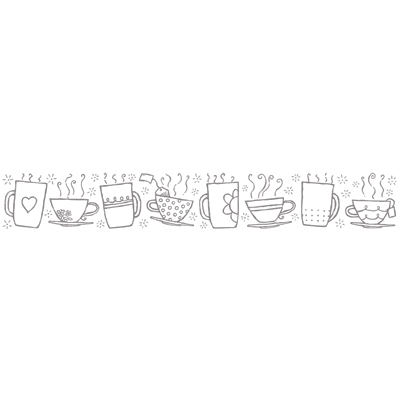 Do some of your shopping thru my Stampin' Up! website. Right now through the 30th, we have My Digital Studio on sale for 50% off !!! It will make a fantastic present for someone, yourself included. It originally sells for $79.95 and right now is on sale for $39.98. 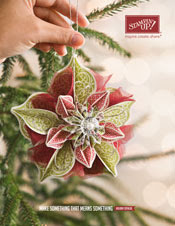 There are also stamp sets, Big Shot dies, digital downloads and MORE all on sale. Select items are 20%, 30%, 40%, or 50% OFF. Click the link below to see all the wonderful items on sale, there is even FREE shipping on orders that are a minimum of $150 (before tax & shipping). To receive the FREE shipping option, you have to place your order thru my website. You will also qualify for Hostess Benefits with a minimum $150 order (Minimum of Level 1 Hostess Gift plus $15 in FREE merchandise). I used the Extreme Elements Stamp Set (same as yesterday) but changed out the orientation and colors. Today I used Cherry Cobbler, Very Vanilla, and Green. I like the 5/8" Grosgrain Very Vanilla Ribbon that was used for this card. The ribbon is item #109055. The ribbon spool holds approximately 15 yards of ribbon and is only $6.95. Great price for quality ribbon. Today I decided to use a stamp set I had but had never used (I bet all of you have at least one set like this or a craft tool you purchased and haven't used). So this was my opportunity to use this stamp set. The center was created by layering 2 stars. I am so excited that they joined my team. I have known Sharin for about 12 years. Kelly and I met about a year ago when she convinced me to teach card making classes that both she and her daughter (5 at the time) could attend. Both Sharin & Kelly joined my team using the promotion: Simply Amazing Promotion that is available till the 30th of this month. If you would like to read more about here, I have additional information HERE on my blog. There is still time to take advantage of this amazing promotion ... starter kits are 1/2 price. Only $87.50 for over $310 worth of merchandise and business supplies. Contact me if you would like more information. Stampin' Up! is always hiring, and I would love to have you on my team too. It is a great company to work for. The Online Spectacular details have just been announced .... Many items are being offered at "up to 50% off". FREE shipping applies to orders placed thru my website that equal a minimum of $150 before tax & shipping costs. Only those orders placed online (and at least $150 before tax & shipping) will qualify for the free shipping. This file will give you all of the specifics of the sale. 50% off .... Sweet Shoppe Alphabet Clear-Mount Bundle, Pg 162 main catalog .. 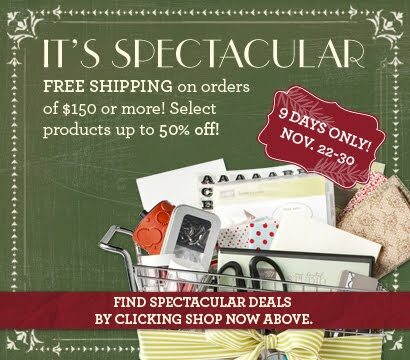 There are more products at 50% off, 40% off, 30% off ... things like Big Shot dies, Embosslits, Sizzlits, Decor Elements, Numerous Bundles, Brads & Accessory Bundles, Hodgepodge Hardware, and the list goes on and on. Digital downloads too at 20% to 40% off. See pdf above for the list of those that are being discounted/on sale. (NOTE: not all products are on sale ... the sale ones are listed on the pdf link above). Remember to qualify for the FREE shipping, you need to place the order thru my Stampin' Up! website. On the minimum $150 order that is a $15 savings alone!!!! Orders that are under $150 minimum will still get the sale pricing, but will not qualify for the FREE shipping. Stampin' Up! Online Spectacular Begins Monday! Come back on Monday for all the details on this great sale. Stampin' Up! isn't even telling us as demonstrators the full details. I may have to stay up late on Sunday night just to find out what the discounts will be on. I can't wait!!!!! I will post here as soon as I have complete information. Are you looking for a family project for the holidays? How about making your own Christmas tree ornaments using Stampin' Up! products. The are quick and easy to do plus could be customized for each person, and what a great gift idea too. There are 3 versions with directions of the ornaments on this video (if you are reading this via e-mail, you will need to come to my blog to see the video). I've used My Digital Studio for quite a while now. I find easy to use. Especially love how I can create a digital image, print it and then incorporate it into a hybrid card (digital and traditional combined). This is from Stampin' Up! ... don't miss out on your chance to win a copy of My Digital Studio. 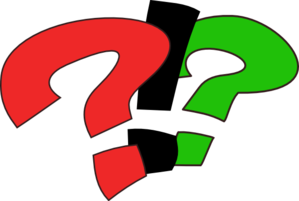 Have you ever purchased something and wondered if it was really worth what you paid for it? You might be asking yourself something similar about My Digital Studio. Isn’t the $79.95 US/$106.95 CA price tag a little steep? Once you get My Digital Studio in your hands, however, the wondering will be over! You won’t believe the value for the money—and you’ll begin to ask yourself if Stampin’ Up! wasn’t crazy for letting it go at that price! 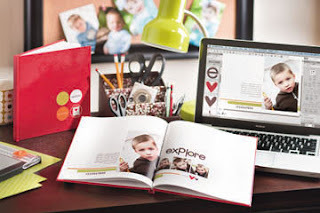 Our My Digital Studio boxed software includes nearly 2000 unique elements—stamps, embellishments, designer and photo templates, punches, Designer Series Paper, card stock and more. If you were to individually buy all of the products already included with the software, you would spend more than $500 US/$600 CA! Now, that’s a great value! And don’t just take my word for it—see for yourself! For a complete list of items that come with the My Digital Studio boxed software, click here! We have even more great news! Because we are so in love with My Digital Studio and want everyone to try it—we’re giving away four FREE copies! To be eligible to win, simply create a personal blog or Facebook post describing why you love My Digital Studio. 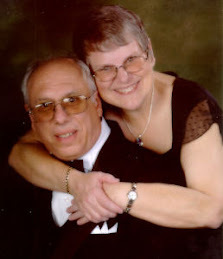 Then leave a comment on our blog by 11:59 pm (MT) on November 24, 2010 with a link to your post. The four lucky winners will be randomly selected and announced in an upcoming My Digital Studio blog post! I used my Stampin' Up! Big Shot a great deal each week. On Saturday I taught a Big Shot class and this is one of the items we created. 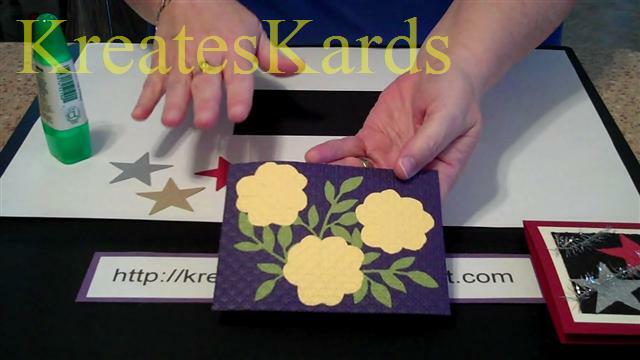 I cut out a flower image (you can do the same with a Big Shot die or Stampin' Up! Paper Punch), then put it in a Textured Impression Embossing Folder, then ran it thru the Big Shot. The design gives a beautiful look to the flower and adds texture and interest to it. 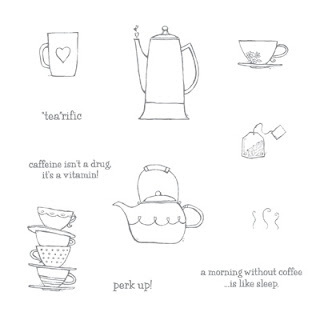 This would be perfect to accent any card or scrapbook page. Did you notice the accent of pearls on this card? The center of the flower has one, then there are numerous ones randomly placed on the embossed image which is the background for the card. You can click on the photo to enlarge the image. I think the pearls add such a touch of elegance. I highly recommend purchasing them if you haven't already. The Basic Pearls are flat on one side and the pack has 150 pearls and consists of 50 each of 3 sizes (5mm, 3mm, and 2mm). Item #119247 and only $4.95 for the package. We also have Basic Rhinestones. They are 150 per pack and also come in 3 sizes (5mm, 4mm, and 3mm). Item #119246 and priced at $4.95 for the package. Whether you purchase the pearls or the rhinestones, each individual piece is flat on the back and has adhesive on it. They attached easily to your card or scrapbook layout. NOTE: Flower, leaves, and embossing were created using the Stampin' Up! Big Shot Die-Cut Machine. LOVE IT!!! Gift Card Holder - perfect for any occasion. 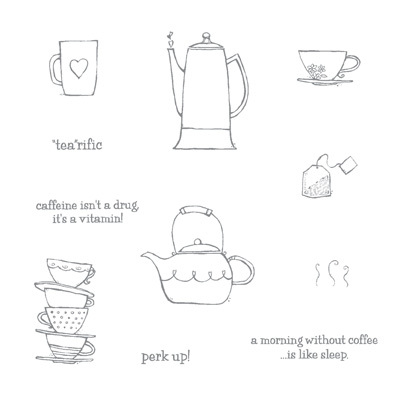 I used the Stampin' Around Standard Wheel for the coffee and tea images. Then colored them in with our Watercolor pencils (item #101879). I used them just like a pencil (no water added this time). Isn't this a great stamp set to compliment the wheel! Gift card holders are a perfect gift for any occasion. Oh my gosh, more wonderful downloads to share with you .... this were just released today!!!! November 16, 2010 Santa's elves have been busy designing our latest batch of digital downloads--and more are on the way for the month of November! I worked almost all day yesterday on holiday cards for my customers, friends, and family. I'm nowhere near done, but thought I would share part of the project. These are the envelopes for the cards. I've stamped two little penguins on each very vanilla envelope. I'm keeping the cards under wraps as I want everyone to be surprised when they receive them. It was funny, I had my cards all planned out and this morning I totally changed my mind and revamped the whole project. I used the same color scheme so that helped a great deal, and of course, I only used Stampin' Up! products for my cards. It was a productive day, I have almost 50 cards done. I have many more to go over the next two weeks. Definitely going to be kept busy. My mom absolutely adored penguins. She often said in later years, that it was a mistake that she told her friends and family. Seems that whenever we saw a cute penguin pin, stuffed animals, scarf etc. someone would buy it and give it to her. She became overwhelmed with penguins in her home. So now whenever I see a penguin I always think of her and it brings a smile to my day. 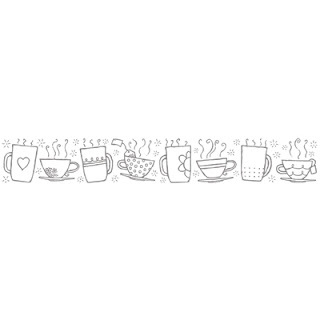 This cutie comes from Jolly Bingo Bits Stamp Set from Stampin' Up!, item #120857 - wood mount OR #121187 - clear mount. Our Simply Amazing Promotion starts today and ends on November 30th. It is a fantastic opportunity to join Stampin' Up! as a Demonstrator (whether hobby or business) and purchase your starter kit at 1/2 price!!!!! How wonderful is that!!!!! Instead of paying $175 plus tax, you will pay $87.50 plus tax and Stampin' Up! gives you FREE SHIPPING too for the kit. We have both a standard starter kit and a digital starter kit ... you can choose the one best for you. Here’s all the documents for you to go over. NONE of these have to be filled out. Used them for information purposes and also as worksheets. You will sign up on-line via my website and the application forms, starter kit etc are on-line. This way you have a printed copy of what you will see. (See bottom of this e-mail on how to sign up …. November 15th thru November 30th ONLY for this promotion). Your Social Security Number or Social Insurance Number and personal information such as street address, mailing address, phone number, etc. A valid major credit card. Then click on JOIN NOW. I hope you will decide to join my team. It is definitely a GREAT way to get the products at a huge discount during this promotion. Let me know if you have any questions. When you are ready to sign up, you can sign up thru my website yourself. Please let me know if you have any questions, my e-mail link is at the top of this screen. 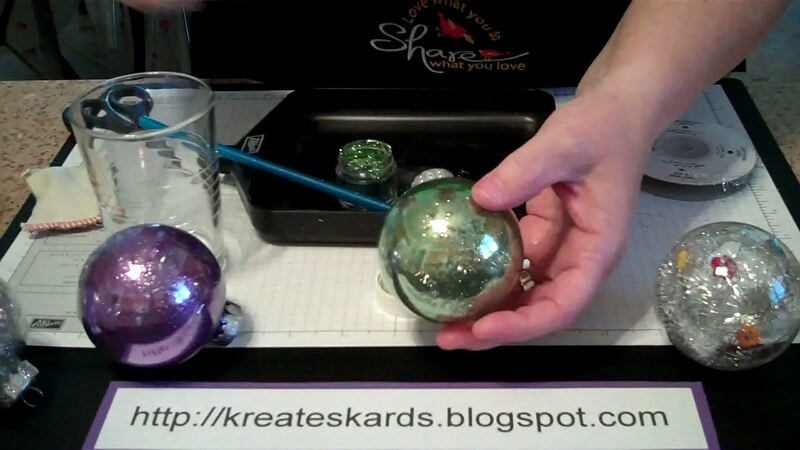 Today I posted a tutorial on my blog I have a typo in the dimensions for the lid. I want to be sure you realize there was a mistake so if you kept the tutorial (sent via e-mail update) or printed it out, that you will make the correction. Scroll down thru the photos until you come to the lid directions. It now reads 5 1/8 x 8 1/8. This is the correct dimensions AND they are correct on the first page. Thank you. I'm sorry for this inconvenience. Just a reminder too that I have a promotion this month with a chance to win a Stampin' Up! Fiskars Personal Cutter. This box is perfect for holding A2 cards and envelopes. A2 cards are 4 1/4" x 5 1/2". You could easily put 8 to 12 cards and envelopes in this to give as a gift. So many options too for decorating it. Since this is to hold Christmas cards, I used the Stampin' Up! Ornament punch and did random placement of card stock scraps behind it. Score your 12" x 12" Poppy Parade piece at 3" and 9", then turn and score at 4 1/2" and 7 1/2". Fold and crease with Bone Folder. Next, cut at 4 1/2" and 7 1/2" up to first crease line. I am using white lines to show you wher to place the sticky strips as the red sticky strip didn't show up in the photos. Only place on 4 panels, not all 6. The center piece is the inside panel, do it first. Remove the protective film, then line up against the other panel with the sticky strip. Sticky strip on the left panel will face outward. Then remove the protective film of the left panel and bring the right panel over it. The lid is 5 1/8" x 8 1/8". You will score it at 1 " on all 4 sides. Once score, cut 4 sides up to the crease. See photo above. Trim off part of the tab to angle it. This will prevent the tab from showing behind the other piece. Put sticky strip on the tabs and assemble lid. This is your front panel for the box. It is Pear Pizzazz. Using Brushed Silver or Gold Card Stock punch out 4 photo corners (larger one) and attach with Multipurpose Liquid Glue attach in the corners. Punch out the ornament design in the Brushed Silver or Gold Card Stock (2 1/2" x 3 1/2"). Center the punch as much as possible. KEEP the ornament that you punched out as it will be used later. Turn over the accent piece and start layering small pieces of paper. Attach each piece with scotch tape. When completed, add some more scotch tape to stabilize all the pieces to keep in place. Add Stampin' Dimensionals to all 4 corners, then attached to the Pear Pizzazz Panel. Each ornament will be unique as you are randomly placing the scraps of card stock. I really like the look and this can be used with any punched out design. Using Sticky Strip, place on all 4 sides of the panel. Line the panel up with the bottom of the box and center left to right. I put sticky stick down the center of the box lid (or you can put on part of the ribbon) then place the ribbon working from the back forward. Be sure to leave enough to tie a square knot (right over let and under THEN left over right and under). Put Multi-purpose Liquid Glue on back of your punched out ornament. Place on center of lid. Here's your completed card box. On Wednesday Blog Post, I showed you some samples of a Cross Stitch Technique and also gave you a mini tutorial on how to do this technique. Today I wanted to post two cards that I made using the Cross Stitch Samples. I have three sets of classes I am teaching today, so it will be a busy but extremely fun day. Hope your day is filled with being creative too. The holidays are just around the corner, but there is still time to order supplies to make your holiday cards and many great gift ideas too. Today I have posted a video tutorial of how to make the Slider Card to hold the hot cocoa mix or a candy bar. Truly the perfect gift as a thank you, just because, stocking stuffer etc. More photos of these (made 23 yesterday) are on my blog. If you are reading this blog entry via e-mail, you will need to come to my blog to watch the video. 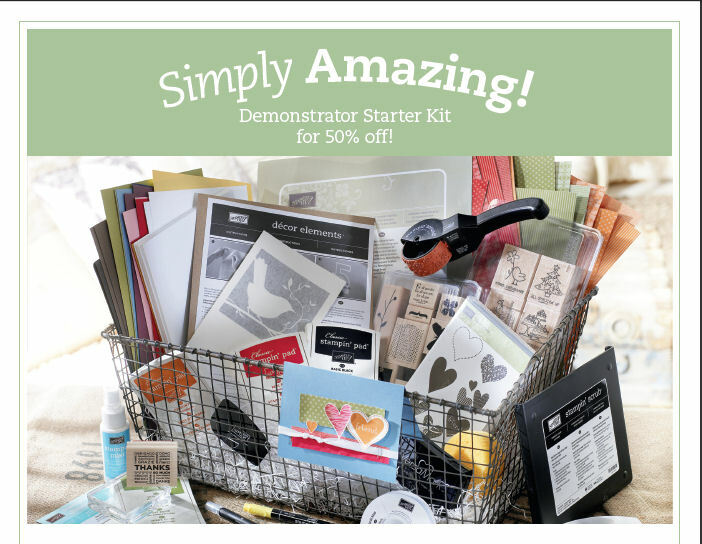 Starter Kits at 50% off .... becoming a Demonstrator just got easier ... don't wait to sign up. I love being a Stampin' Up! Demonstrator AND am always looking for new demonstrators to be part of my team. If you love paper crafts/scrapbooking/card making; want to set your own schedule; get a good discount on your Stampin' Up! Products and even earn an income (if you want to make this a business), then contact me for more information. My e-mail link is at the top of the screen. We've never seen such a great deal on the starter kit. Stampin' Up! has both hobby demonstrators (get discount on your products) and business demonstrators (get discount on your products PLUS work to earn an income). Remember this is a very limited time offer, so don't delay in contacting me if you have questions or you are ready to sign up. My team consists of demonstrator all over the US. Some are hobby demonstrators, some are business demonstrators. All received the same great benefits. There is more information on becoming a demonstrator on my Stampin' Up! Site .... CLICK HERE to view more. Here's a great stocking stuffer/gift idea for the holidays. Takes a few minutes to make and will bring many smiles to the recipient. I found hot cider and cocoa mix at the grocery store the other day. Since they were on sale, I picked up a few. The photos below are ones that I made for a friend. She is participating at a school bazaar this weekend and these will be just a few of the things that she will be selling. When you pull on the ribbon (it is wrapped down and around the cocoa mix (like a sling), it pulls the mix up so you can take it out of the card/ribbon. The bottom of the slider is open, so the ribbon keeps the mix from falling out. Except for the striped pattern, all of the card stock was made/created using rubber stamps from Stampin' Up! I used Poppy Parade, Old Olive, Whisper White, Concord Crush, and Basic Black. You are a star to me ..